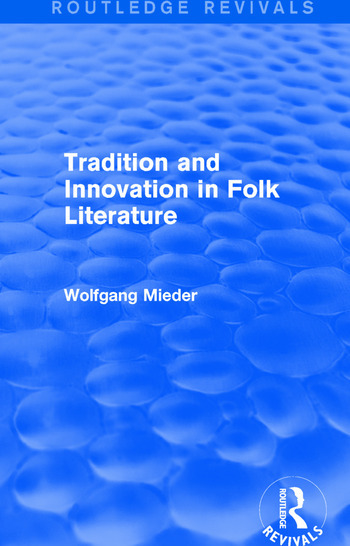 In this book, first published in 1987, Wolfgang Mieder follows the intriguing trail of some of the best known pieces of folk literature, tracing them from their roots to modern uses in advertising, journalism, politics, cartoons, and poetry. He reveals both the remarkable adaptability of these tales and how each variation reflects cultural and historical changes. Fairy tales, legends, folk songs, riddles, nursery rhymes, and proverbs are passed from generation to generation, changing both in form and meaning with each use. This book will be of interest to students of literature.